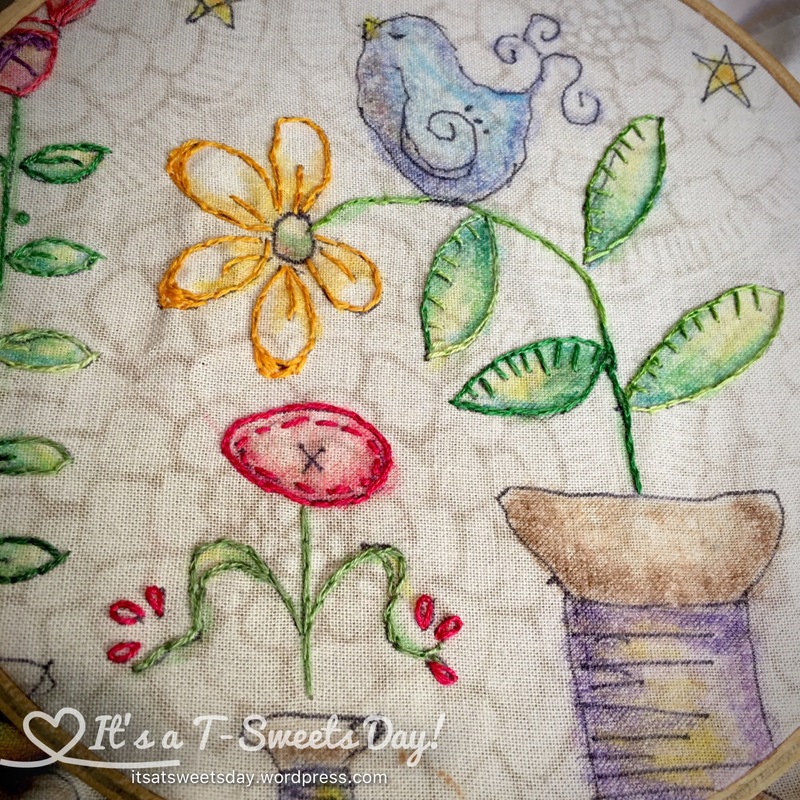 Embroidering my Splendid Sampler – It's a T-Sweets day! Published on August 25, 2016 by Tracy @ It's a T-Sweets Day! I just love the embroidery blocks of the Splendid Sampler. 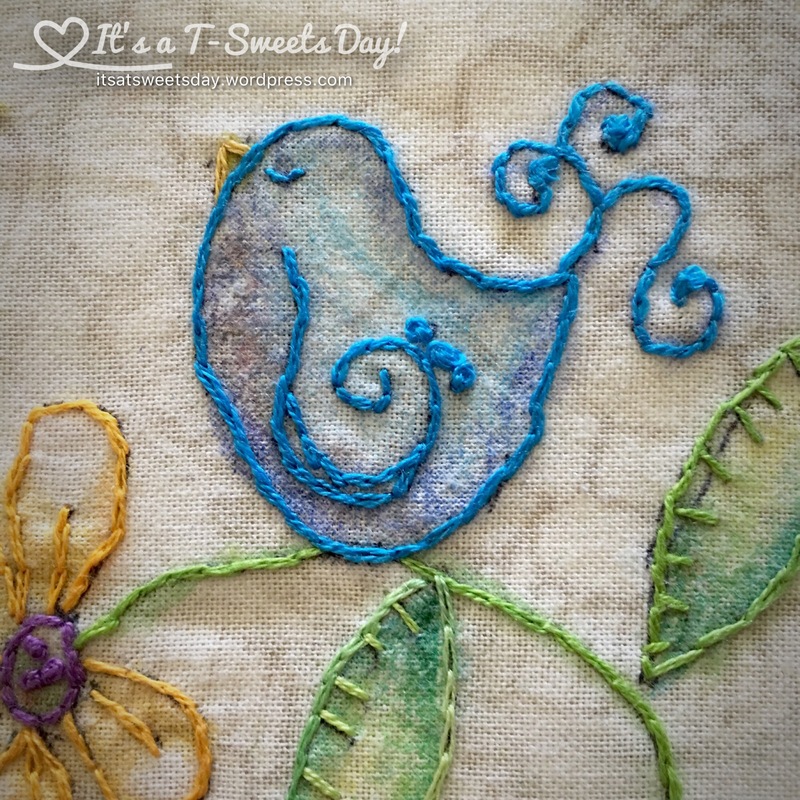 I like how I can work on them away from my sewing machine in the evenings with my family. For this block I added my new found coloring technique that I am using on my Salem quilt guild panels. The coloring is so fun! Isn’t it just so SWEET? When I finally try embroidery (waiting on the thread) I will have to color them! I have set the embroidery blocks to the side. This is beautiful! Wonderful Amanda! I am excited for you:)! Hi Debbierose! No probs in the name. It happens to all of us at one time or another:). 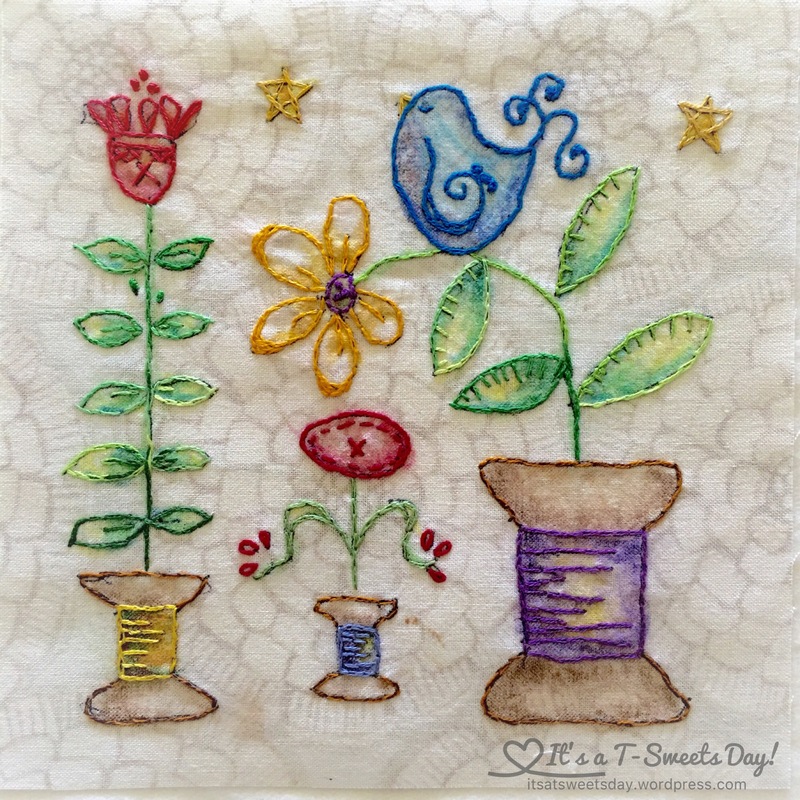 This block pattern came from the Splendid Sampler Quilt Along. It is free and has been so much fun. But it is definitely a commitment. 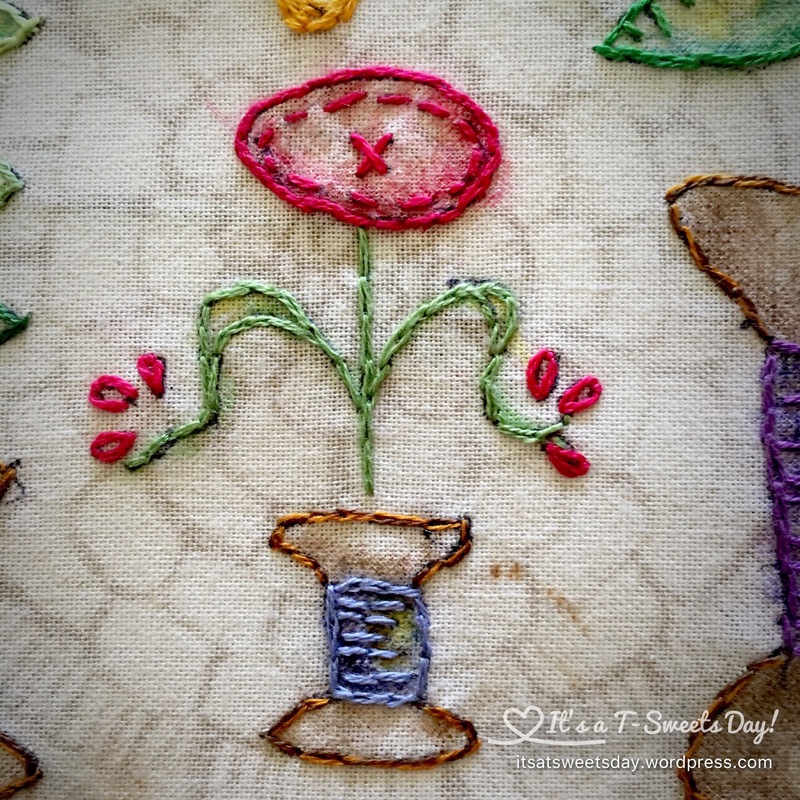 There are several beautiful embroidery blocks. Just type the Splendid Sampler in your browser and it will come right up. Thank you for your comment!